← Illumine’s Wish Blog Hop Giveaway! Hi Cheryl! 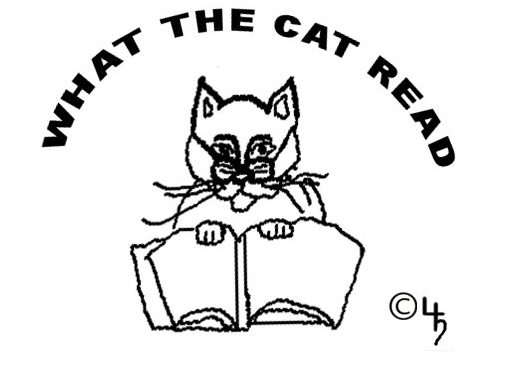 Thank you for taking time to come chat with me here on What the Cat Read! I first want to say that I seriously enjoyed Hunted. There were several moments where I found myself screaming out loud at various characters and events and even had chills racing down my spine a couple of times. Tell us a bit about yourself. What sorts of things do you like to do in your free time? Do you have any favorite foods/drinks? Favorite movie/TV show? Etc. I love to read—especially YA, YA and middle-grade fantasy and magic, some adult suspense, and comics. I also love spending time with friends and people I love, playing with my little dog Petal, creating art, doing crafts, and watching good shows and movies. I have a lot of favorite movies! But a few of them are Frequency; Erin Brocovich; Contact; Pretty Woman; What Women Want; Mrs. Doubtfire; The Cat From Outer Space; Escape to Witch Mountain; Mary Poppins…and SO many more! Ah, The Cat From Outer Space is one of our favorite movies as well! Always got to love a movie that features a cat as the main character. Not that we are biased or anything. Murr! We might just have to someday come over and nose through your books and movie collections. It sounds like we share similar tastes. But before we get too distracted by thoughts of movie nights and discovering great books to read, let’s talk a bit about your novel Hunted. It is a truly powerful story. It not only makes the reader think, but it brings up serious issues that we as a society/nation could one day risk facing. Would you care to comment? I’m very glad you found it powerful and that I made you think! I wanted that to happen. To me, in some areas of society we already have the story world of HUNTED, just not as overtly. In fact, I based HUNTED on my experiences as a ritual abuse survivor oppressed by cults—and I didn’t make it a fraction of how bad it actually was. I was also thinking about the oppression that exists now in our society, and has in the past. It’s not that different from what the Nazis did, or white people to black slaves, or Japanese concentration camps… And if you take “Para” and replace it with any oppressed group in our society, you’ll find many similarities. Some people seem to hate easily, and to try to oppress others who are different than they are, and at the same time, I see a lot of positive change in the world. It’s no longer considered okay to oppress others. More people are aware of child abuse, homophobia, racism, sexism…and more laws are going into place to help stop oppression. ~Nods in agreement~ Yes, society has gotten better at recognizing how wrong it is to oppress others. Though it sometimes seems that for every two steps forward we inevitably take one step back. Hopefully we can avoid repeating past events on such a large-scale like the ones who mentioned and your story isn’t a foreshadowing of things to come. With that in mind, what do you hope readers of Hunted will take away from the story? I hope readers will get that no matter what you’re going through, you can survive, it can get better, and there will be people somewhere that you can turn to for help. I also hope readers will get that it’s important to stand up to oppression when you see it, to raise your voice in support of those who need help. You can make a real difference just in saying, “That’s not okay” about oppression, or “How can I help?” to someone who’s hurting. Two very powerful messages right there. We felines often have to remind ourselves that we are not alone in our struggles and that things will get better in the end. Our human is the same way. There are times when she gets so caught up in everything that is going wrong, she has to fight the urge to up and run. It’s way to easy to get bogged down in all the bad stuff. That’s probably why Caitlyn quickly became a favorite character for all of us as we were reading. She’s easy to relate too and is definitely a survivor and fighter for what is right. And speaking of favorite characters, we’re curious to know, who is your favorite character in Hunted and why? Likewise, who is your least favorite character and why? Caitlyn is my favorite character in HUNTED, probably in part because I put so much of myself in her—her drive to help others even at risk to herself, her sense of justice, her emotional strength, her working to fight oppression—and those are all things I value—as well as her vulnerability and inability to hide.Alex, Rachel, and Mrs. Vespa come next—Alex because he’s a sweetheart, gentle to the core, and able to turn around his prejudice and be open; Rachel because she’s emotionally strong, open about being queer, and understands oppression and fights against it; and Mrs. Vespa for being a strong, plucky, determined-to-protect Caitlyn librarian and lover of books, freedom, and equal rights.My least favorite characters are Daniel and Ilene. Daniel because, even though he was tortured, he made the choice to become like his oppressors, and Ilene for being an oppressor, and one who uses emotions and lies to manipulate. Okay, time for a bit of a pick me up. We know that when it comes to the process of writing all authors have different ways of going about it. So, when you sit down to write, what requirements do you have? Could you describe your writing process for us? I just need a pen and paper to write. I write in many places—at home on my couch, in my study, at my desk, and on the subway as I travel to appointments. It helps me to have quiet, but I can usually block out noise around me.I write by hand—I feel most connected to my creativity and inner voice that way—and then I type up what I’ve written. When I’ve got chunks typed up, I print it out and again edit by hand. I also read aloud my manuscript—not every edit because I do many edits, but a few. 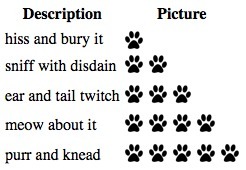 It helps me catch what’s working and what isn’t, the flow of language, etc. Lately I’ve been trying to plan out a draft or major edit of my manuscript through John Truby’s Anatomy of Story, and I’ve found it immensely helpful. But I’m still a panster writer. Our human agrees with your comment about reading your writing out loud in order to catch the flow of it. She does that all the time with our posts. Murr! Now, Hunted is not your only published work out there. 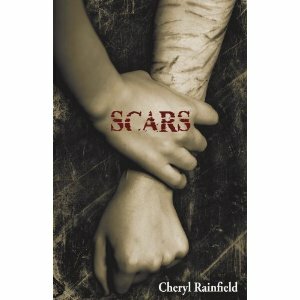 You also are the author of the book, Scars, which was recently a rallying book for the YA Saves movement on Twitter last year. For those who aren’t familiar with the novel, can you give us a brief summary of what it is about? In Scars, Kendra was sexually abused and she cuts to cope with the pain—but she can’t remember who abused her. Her abuser begins threatening her, and Kendra must find a way to face her past and to stop hurting herself before it’s too late. After finishing Hunted we now want to find out what happens next to Caitlyn! When can readers expect the sequel and can you give us any clues about what will happen? In the sequel to HUNTED, Caitlyn must again face Ilene and Daniel who are trying to kill all the Normals—only they have more power now. And Caitlyn, with her government tracker, is at a disadvantage. Caitlyn has to learn to trust her allies. Well, as much as we would love to keep you around and ask more questions about the sequel, our time is sadly running out. Is there anything else you would like to share with our readers before we bring this interview to a close? I hope you have good people in your life, people you can depend on, like Caitlyn did.I hope you will pick up Hunted and enjoy it! And if you enjoy it, I hope you’ll write a short review, even a few lines, on Amazon, B&N, or GoodReads. 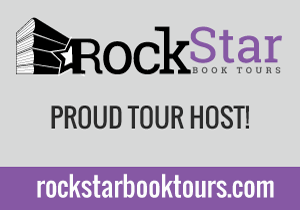 It helps other readers know about the book, or you can just “like” the book on Amazon. It really does help! And it’s a gift to authors whose books you like. 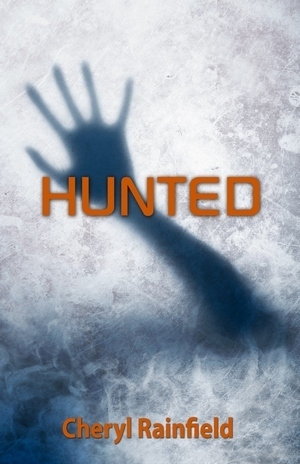 Speaking of reviews, you can read Sara’s review of Hunted HERE. Posted on April 11, 2012, in Authors. Bookmark the permalink. 3 Comments.